Karma, our 75′ Performance Cruiser design for Maxi Dolphin has hit the water. In coming weeks the rig will be stepped and trial sailing can begin. The stunning Karma interiors are the work of top Milan office Nauta Design, whose experience and clean relaxed vibe reflected the owners wishes perfectly. The Cape31 Training Regatta took place in Cape Town November 23-25, with professional coaching and drone footage provided with the assistance of TNT owner Dr. Tina Plattner. This was very beneficial for those taking part,a nd produced some fabulous footage! Details of the 2019 Cape 31 Invitational Regatta have been announced for 5 – 10 February 2019. Want to test a Cape 31 in a proper One Design regatta, or just enjoy some fabulous warm weather racing with your team during the Northern hemisphere winter? Enter the C31 Invitational regatta. Experience these awesome one-design racing machines and sail in iconic Table Bay all while exploring beautiful Cape Town. Limited boats available – get your entry in now! 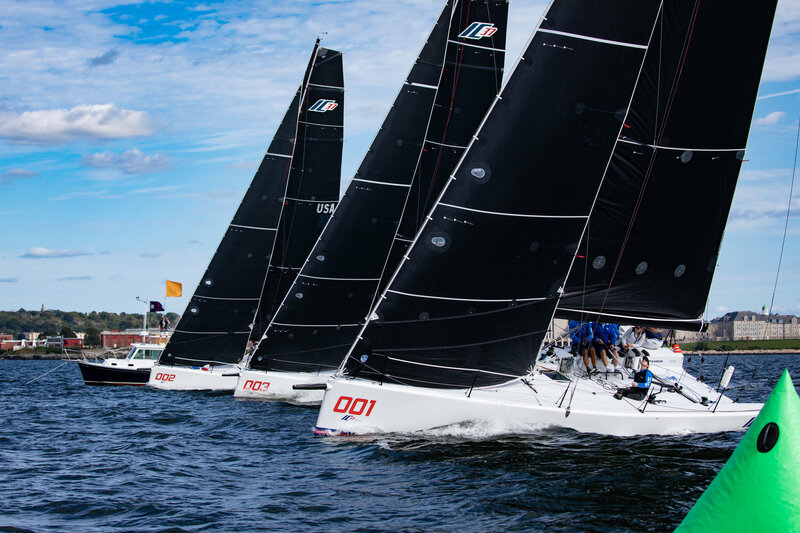 NEWPORT, R.I. – After a summer of commissioning work, sea trials and the occasional weeknight PHRF race, the New York Yacht Club’s first three IC37s lined up for two days of one-design racing on Narragansett Bay on the first weekend of autumn. While the fleet was small, especially compared to the pack of 20 or more boats that will charge the starting line at each IC37 regatta next summer, it was nonetheless a revelation to see this slick 37-footer in its natural environment, namely racing boat-for-boat with full amateur crews. The first boat arrived in Newport in April and has been sailed extensively in the time since as numerous industry professionals worked to optimize the deck layout, sail and rig tune and crew mechanics. SuperNikka, the Vismara 62 Mills owned by Roberto Lacorte, won the Mini-Maxi 1 Class with a day to spare for her third Maxi Yacht Rolex Cup title. With less than half the points of the second placed finisher in the 10 boat fleet, SuperNikka revelled in a mix of conditions over the week-long event in in scenic Porto Cervo. The pinnacle of the Maxi yacht racing calendar, the Maxi Yacht Rolex Cup brings together the biggest and fastest monohulls in the world once a year to race in the unparalleled scenery and conditions of the Maddalena archipelago in northeastern Sardinia.